The first in our series of interesting Louis Pasteur facts reveals what he is most famous for. The process of pasteurization was developed to stop foods – such as milk – from deteriorating in quality, developing micro-organisms, and making people sick. Pasteur believed that germs were the root of most illnesses, and that finding a way to reduce them in foodstuffs would result in less illness and a safer food chain. Pasteurization worked in a different way to sterilization – which could ruin and spoil foods and affect their taste – and simply used gentle heat techniques to kill off bad bacteria, while leaving the flavors intact. For centuries, people believed that germs were spread by bad air, or miasma, or that they could be spontaneously created and spread around. During the Middle Ages, people thought that most illnesses were caused by the four humors: black, red, yellow and white bile that we all had in our systems. Pasteur challenged this belief, and developed the idea that micro-organisms were the true root of most illnesses and diseases. These cultures were not visible to the naked eye, but could spoil food, make us sick or spread contamination from person to person – through unwashed hands, for instance. When he initially went to college in 1838, Pasteur studied science, but only came 16th in his year. He felt this was not good enough, so went away and studied for a further 12 months, before taking his exams again. The next time, he came 5th in his year and went on to study physics and chemistry. This next in our series of Louis Pasteur facts tells us about his aptitude as a student. In his early life, it was noted that Louis was not necessarily a good student, or someone who excelled at the sciences. 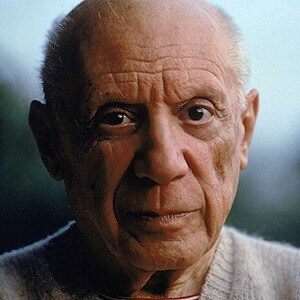 In fact, it would seem he excelled more at artistic subjects, and liked to draw and paint above anything else. It is often noted that there is a superior attention to detail in all of his art work and paintings; the same sort of detail he eventually applied to his scientific work. This was a severe illness which not only affected chickens, but also other types of fowl too, like turkeys and ducks. The illness could spread rapidly, and was highly contagious. In 1879, he injected some chickens with bacteria that had been kept in the laboratory over the summer, and found that the chickens did not contract cholera. A new fresh batch of bacteria was grown, and the chickens that had been injected before were injected again, along with a new batch of chickens. Only the new chickens contracted cholera. Pasteur realized this was the same technique that Edward Jenner had found when he was able to isolate and cure smallpox sufferers in England. This next one of our Louis Pasteur facts is one that not many people are aware of, but he did actually discover the notion of being left-handed or right-handed and how this works amongst the general population. He found that every living creature has molecules in their body which help them twist in either direction and how they twist equates to what “hand” you use for everyday tasks, like writing etc. Our next in the Louis Pasteur facts shows how his own life was marred by tragedy. It was not uncommon for families to lose children in the 19th century, and infant mortality rates were high. Despite Pasteur’s medical advances, he could not stop typhoid claiming the lives of two of his own daughters. Typhoid is a disease which is usually carried by bad food or contaminated water, and it seems especially sad given all his work on germ theory. We’re familiar with how dangerous anthrax can be in our modern age, and it is now used as a chemical weapon. It is a contagion that is fatal to animals and humans alike. Robert Koch was the German scientist who had successfully isolated the bacteria that caused the illness, and Pasteur developed a vaccine against it, reporting at the time that he had successfully immunized 31 cattle against contracting anthrax. Louis Pasteur facts also show us how he, in conjunction with two other scientists, Emile Roux and Alexandre Yersin, discovered how the illness could flood the body with toxins, which could then prove fatal. Isolating these toxins and viewing how they worked was key to developing a vaccine. In today’s world, 85% of all children are vaccinated against this killer illness, meaning it is almost eradicated. This remarkable building is also where his remains lie. In 1940, Nazi soldiers approached the man who guarded his tomb, Joseph Meister, and ordered him to open it up so they could look at Pasteur’s remains. Meister would not comply with the request, and sadly took his own life after coming under increasing pressure from the soldiers. As we’ll see further on, Meister had good reason to feel this way. The next in our series on Louis Pasteur facts relates to his own health. Possibly as a result of the years of research and study he did into germs and how they can multiply, Pasteur had a morbid fear of shaking anyone’s hand. He was (understandably) frightened he might catch an illness from them. Based on what we know today, it is more than likely that, had he been alive today, he would have been diagnosed with obsessive-compulsive disorder. At a time when many people died from less serious ailments, it is remarkable that even in 1868 after Louis Pasteur suffered a stroke and was rendered partially paralyzed, he refused to give up. Pasteur carried on with his studies and work. 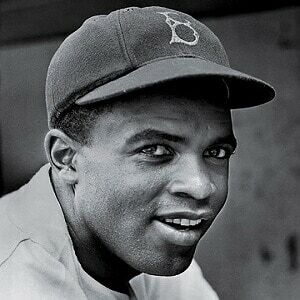 In fact, he lived for a further 27 years after the illness struck. Pasteur had already discovered that microbes of the rabies illness were present in the saliva of the victim, and he had successfully managed to isolate this and examine it under a microscope. He felt certain that by taking tissue from dogs that had been infected with the illness, he could then try and create some sort of vaccine. He did this, but the biggest step – and the one he was scared to take – was to try and find a human to trial it on. If it failed, he would have been in a great deal of trouble. In the end, a young man called Joseph Meister came forward. Meister had been infected with rabies and was certain to die. Pasteur gave him 12 shots of his vaccine over a weekly period. Joseph recovered, and credited Pasteur with saving his life. When Pasteur died, Joseph became a guardian of his tomb. This is a prestigious French honor given to people who have created remarkable legacies in their field of expertise, so it seems only right that Pasteur was given this accreditation. He was awarded the honor in 1853 for his work, though he had many more years of important discoveries in front of him at this time. 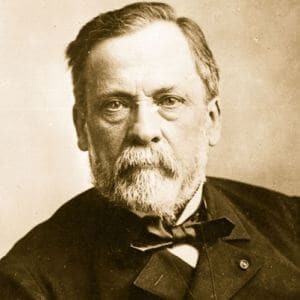 The final in our series on Louis Pasteur facts tells us about how he also helped to stop a problem with dying silkworms. In 1865, the French Agriculture Department asked him if he could help work out why so many silkworms were dying, and decimating the silk industry. Pasteur found out how to examine and spot an unhealthy silkworm by looking at it under a microscope. He was able to pick out which worms were healthy and which weren’t, and to show the farmers how to spot them too. He discovered that diet and temperature affected them too, and his results meant that farmers could take better care of their worms and help their industry to recover over the following years. Facts about Louis Pasteur show us that although his own life was blighted by illness, he was able to carry on his good work. He was not an especially brilliant scholar, preferring arts to sciences, but studied hard and ended up excelling in his fields of physics, chemistry and biology. He discovered germ theory, and helped us to understand why food and drink turns bad, but he also suffered from obsessive-compulsive disorder.